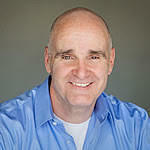 John "Murph" Murphy, founder of JK Murphy Advisors, specializes in heping business owners be prepared for all kinds of circumstances leading up the sale of a business. So what should an owner have prepared to discuss in case a serious buyer calls? Listen in to find out. Help Murph out - Click the LinkedIn button to Share this interview with your contacts!